Woofing around the Christmas tree! They share in our everyday lives, so why not Christmas, too? 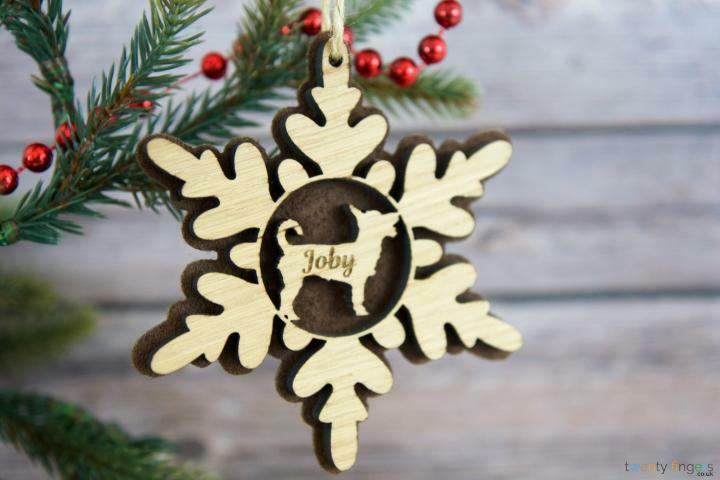 Our personalised snowflake tree decoration has a cute doggy design – a perfect poochy addition to your Christmas ornaments – thanks to Twenty Fingers! You’re welcome. 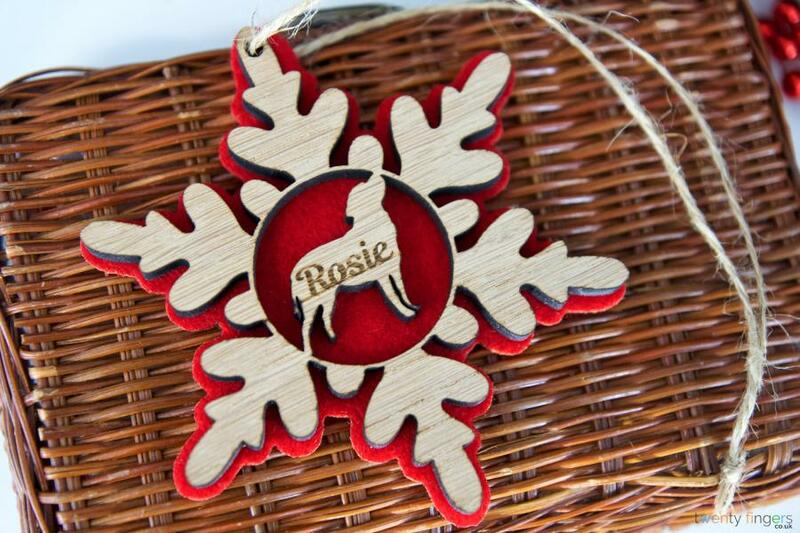 How to personalise your tree decoration, and what happens next! Free UK delivery and returns – straight from Santa’s sack! You’d be barking mad not to love our offers! That’s free UK delivery on orders over £39 – even more reason to love us! We’re pretty sure you’ll be thrilled with our tree decorations, but just in case you’re not we’re happy to refund – so order today! 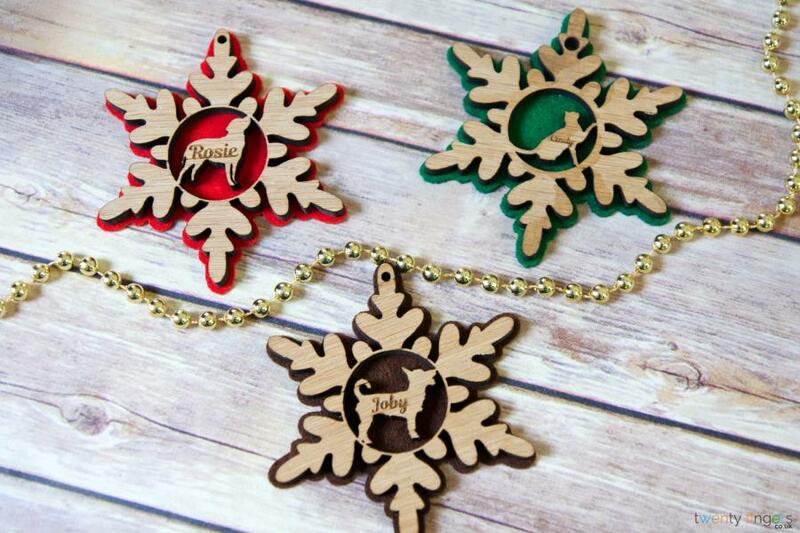 And if you’d like more inspiration, we’ve got loads of brilliant personalised Christmas tree decorations!